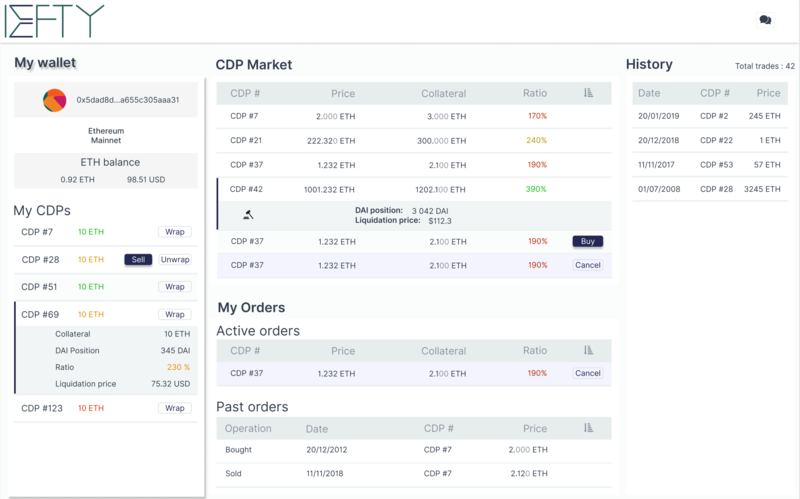 DEFTY is an open source platform to exchange debt contracts. 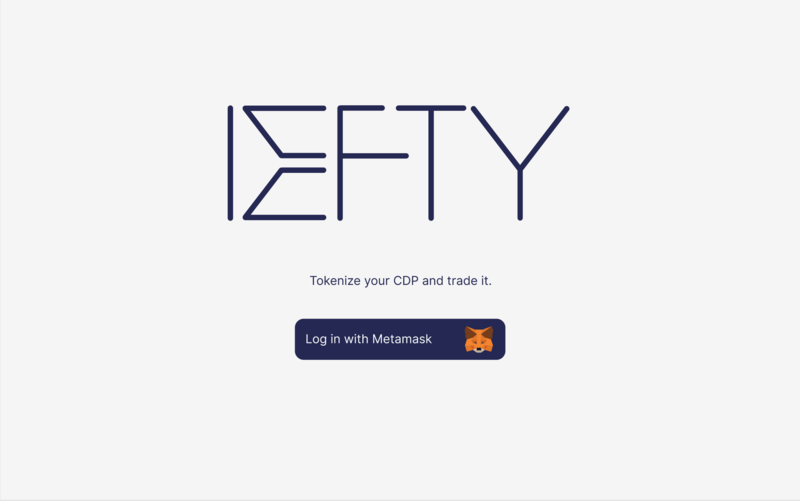 Defty is a relayer that enables peer to peer trading of Collateral Debt Positions. 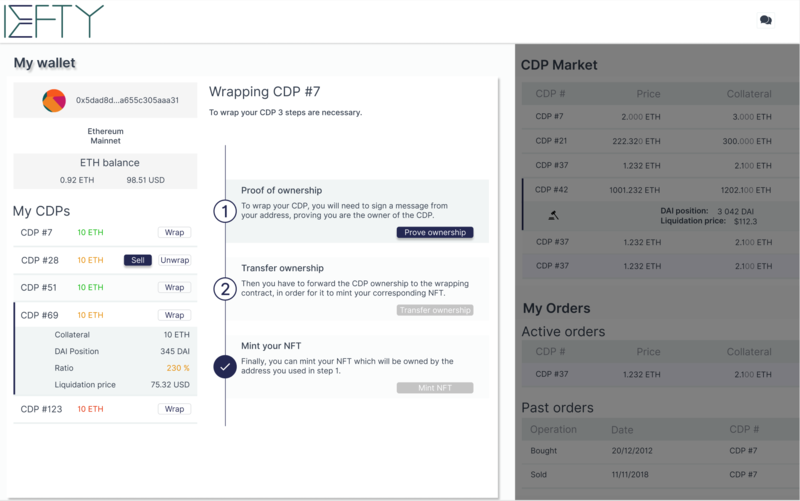 We built a NFT wrapping contract to ease the transfer of ownership between users and be able to use the ERC 721 infrastructure, including 0x relayers. Currently, we have the wrapping contract deployed on Kovan Testnet. 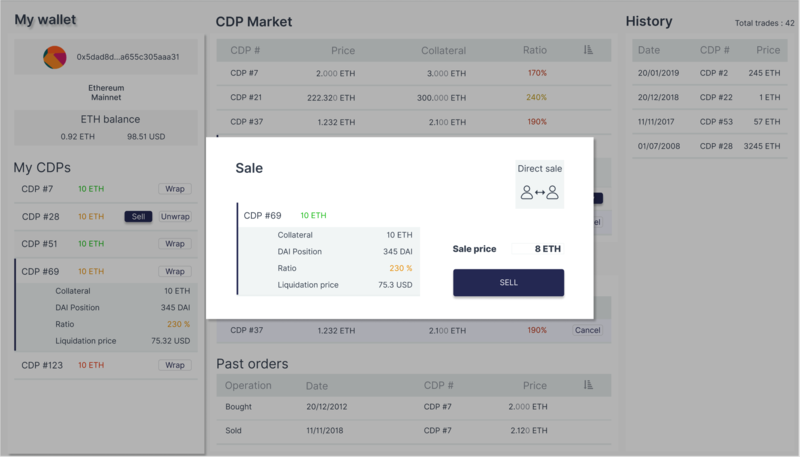 We are about to launch the relayer as well and have a UI ready for it.